Happy Friday! As you may know, one of my goals for 2017 was to expand Mollie Moore into more than just a fashion blog. 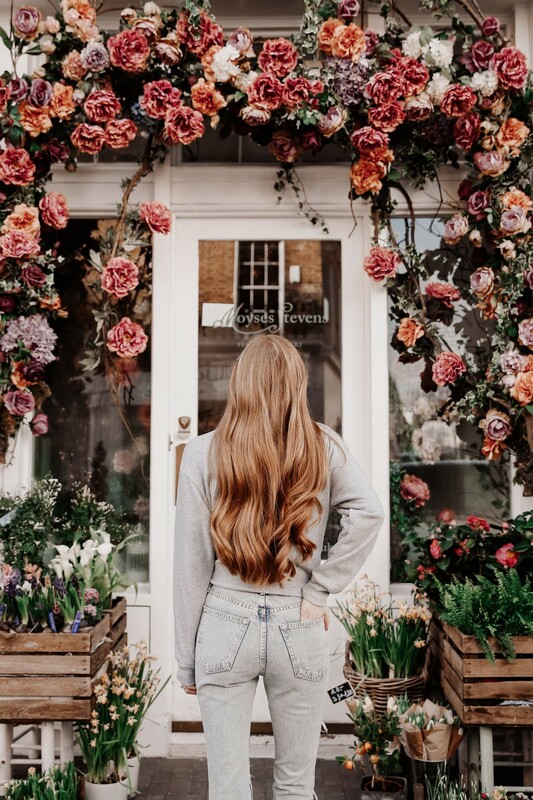 I shared my first hair tutorial with you earlier this month, and today I’m sharing my first beauty tutorial! I want to preface this by saying that I’m NO expert when it comes to makeup. This tutorial is simply a step-by-step look at how I personally do my everyday makeup in just 5 minutes. My look is very “no makeup makeup”, and I know that’s not for everyone. I hope that you at least discover a new product or learn a new trick along the way! Minute 1: The first thing I do is lightly apply a cushion foundation all over my cleansed and moisturized face. I skip primers unless it’s a photoshoot day – I don’t like to layer too much on my face if I don’t have to (but when I do use a primer, I use this one to help tone down my skins redness). Cushion foundation is awesome (bonus: this one is SPF 50!!) because the coverage is totally build-able. I use a very light layer, as I like my natural freckles to come through, but if you are looking for more coverage you can continue blending until you’ve achieved your desired look! I can wear this all day without it ever caking or streaking, and it feels like I have nothing on my face at all. Minute 2: Next up is highlighter – I love this palette from IT Cosmetics because it has everything I need in one spot. If it’s a photoshoot day, I may use the blush and bronzer to really make my cheeks pop (only if necessary though, I have a natural flush to my face), but for my everyday look I stick to the highlighter. 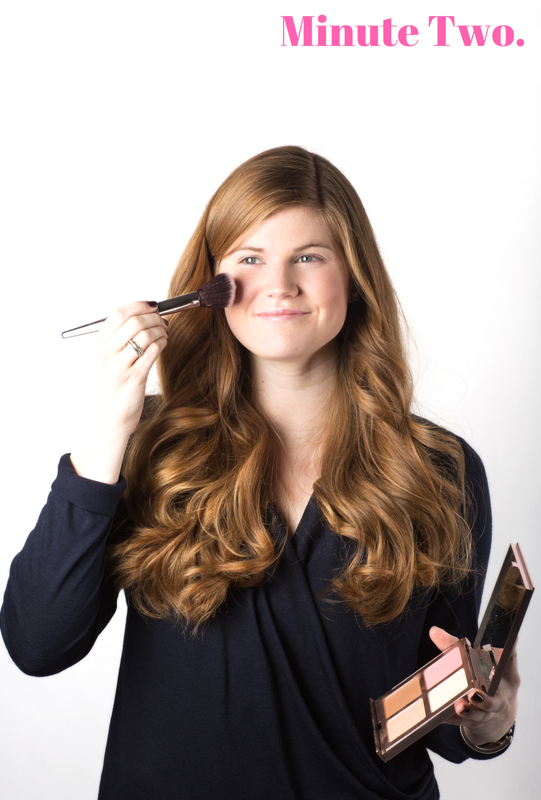 Using a fluffy brush like this one, I apply a quick swipe down the bridge of my nose, across my forehead, along both cheekbones, around my chin, and wa-la! Minute 3: On to mascara. I’ve tried SO many different mascaras, and I’m always changing it up. Lately I’ve been loving this one from L’Oréal, but I really can’t say that I have one favorite. 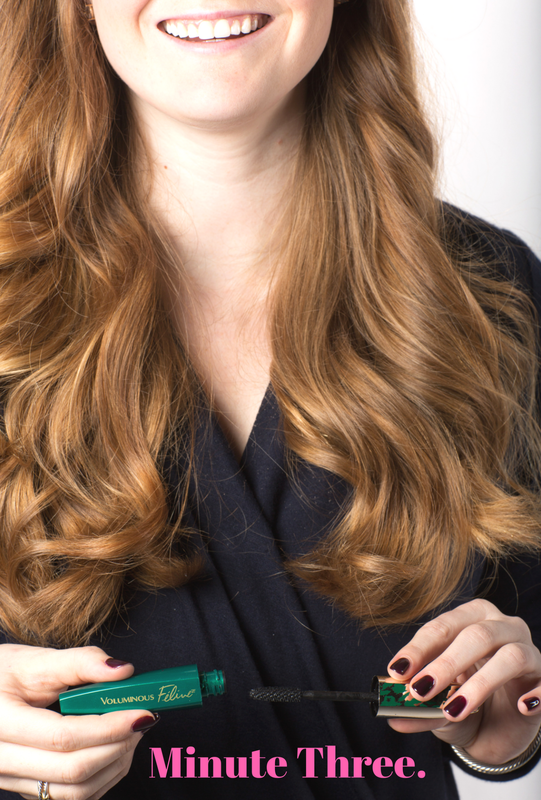 This one is great for adding curl, and I love this one for extra volume on date night. 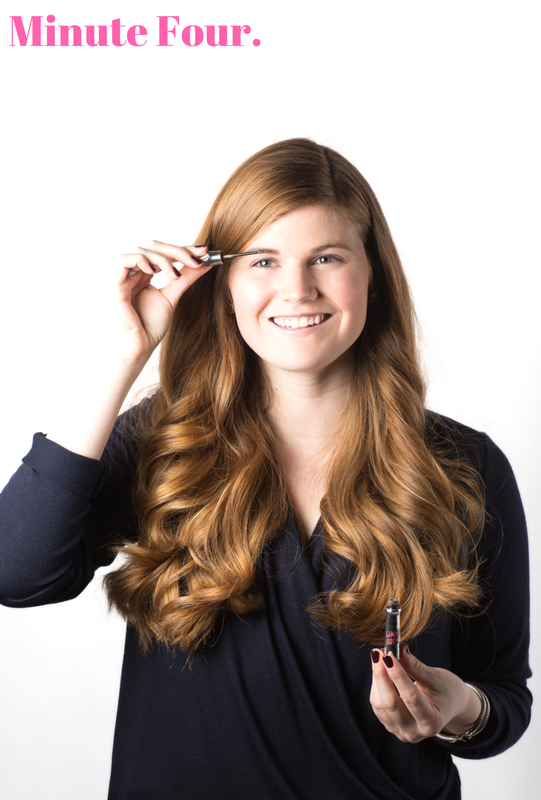 After curling with my Kevyn Aucoin eyelash curler (holding for 5 seconds each eye), I apply 2 thin coats of mascara – one of my pet peeves is when women apply too much. There’s nothing worse than clumpy spider lashes! After the 2 coats have dried, I quickly run the comb end of a brow brush through them to ensure the lashes are separated and there are no clumps. The goal is to look like my lashes are naturally that dark and thick! Minute 4: Time for what I believe to be the most important part of my beauty routine – eyebrows! Seriously, if I could only do one thing before I walk out the door in the morning it would be my brows. If you aren’t currently doing anything to yours, you need to change that asap! They enhance your face and really make your eyes pop. I used to use a brow pencil to fill them, and then shape them with a clear brow gel, but then I discovered this Benefit “Gimme Brow” (I’m wearing 1-Light) in a Birchbox one month. It combines both steps into one quick and easy process. A few swipes of this stuff on each brow and I’m left with thicker, more shapely eyebrows. Minute 5: The last minute of my routine! I swipe on some chapstick or lipgloss and head out the door. Lately I’ve been gravitating towards this Urban Decay “Naked” gloss in ‘Beso’. It has a really nice scent and I love the rosey mauve color. If it’s a chapstick kind of day, I love this one from IT Cosmetics. 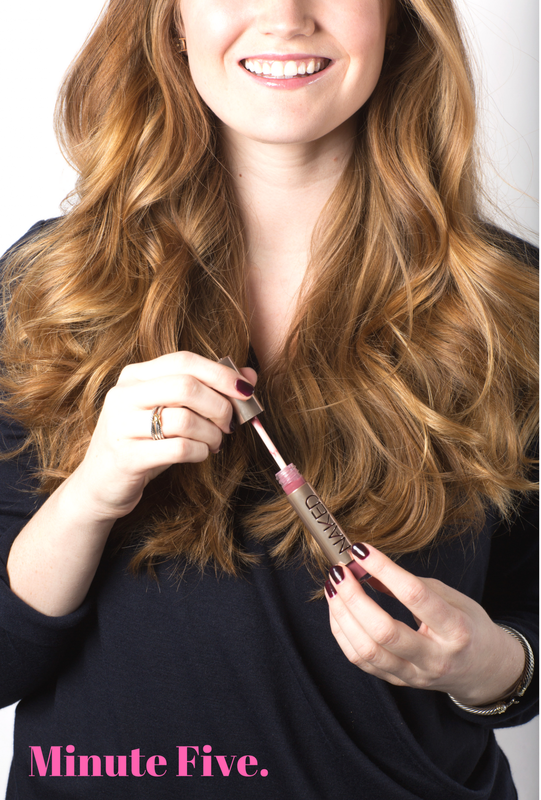 It uses a technology that reacts to the warmth of your lips and leaves a soft pink color thats perfect for you! How long do you typically spend on your makeup? Do you have a similar routine? I’d love to hear your feedback! Perfection! 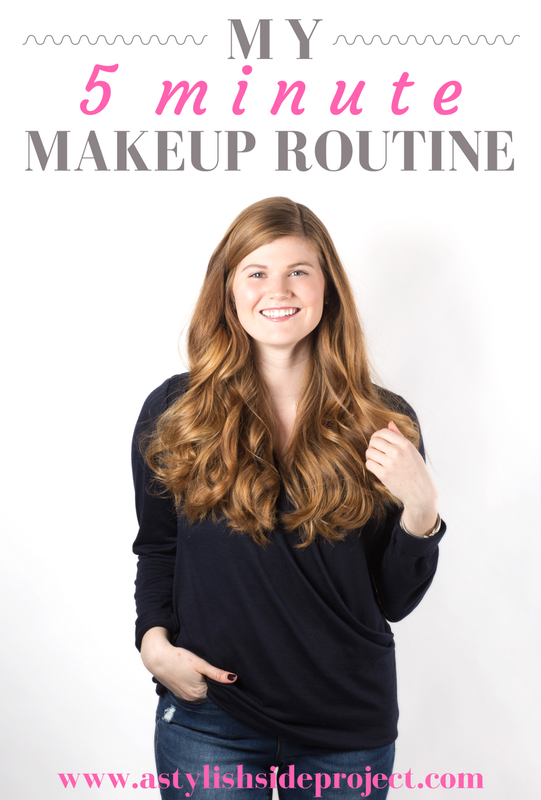 I am all about easy application and quick make up routine! So pretty. I love a simple and all natural look! You’re stunning lady! 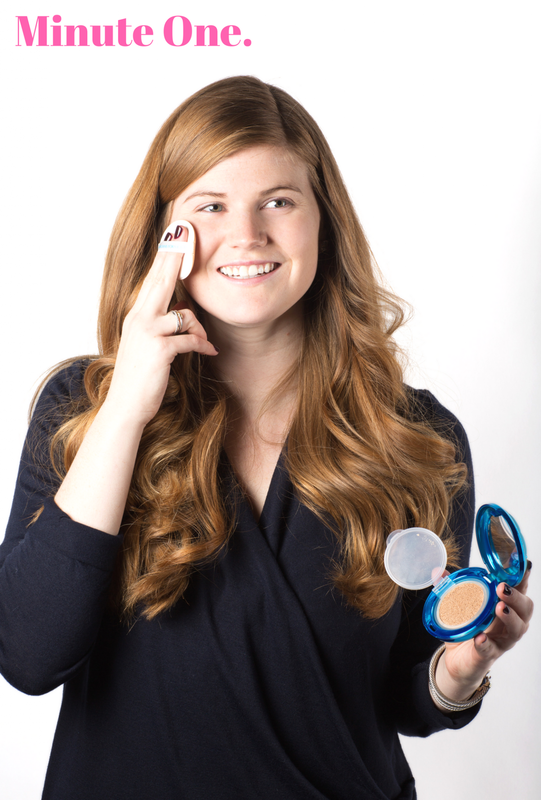 I have been wanting to try a cushion foundation- looks great on you! You look so pretty! Such a simple and natural look with the makeup you are using. I hadn’t heard of cushion foundation but I will have to try it. Such a great routine!! I love the color of your lipgloss too!!! Great routine girl! PP sent me that foundation but I have actually yet to use it. Need to break it out and give it a try! I love that It Cosmetics palette… and basically everything else from them . They’re the best! This is so perfect!! Love the quick makeup routine for everyday!! So easy and so quick!! Love it! This really is the perfect fast routine! I also skip a primer unless it is a special occasion or I really need to to last!